Customer Support: TALK TO US. WE’RE HERE TO HELP. 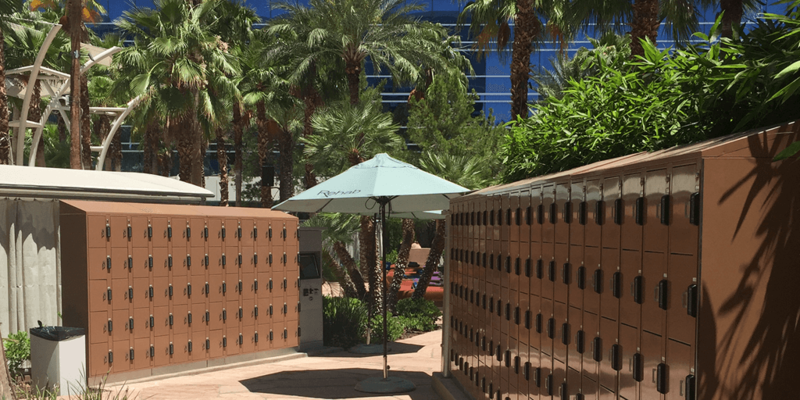 Businesses like this Vegas resort are discovering how affordable it is to capitalize on the revenue generating features of our keyless lockers by replacing old locks with state-of-the-art technology that leaves the locker infrastructure intact. How to choose a locker solution that makes you money. Many of our lockers come with features that are designed to help you better monetize your relationship with your guests and customers. 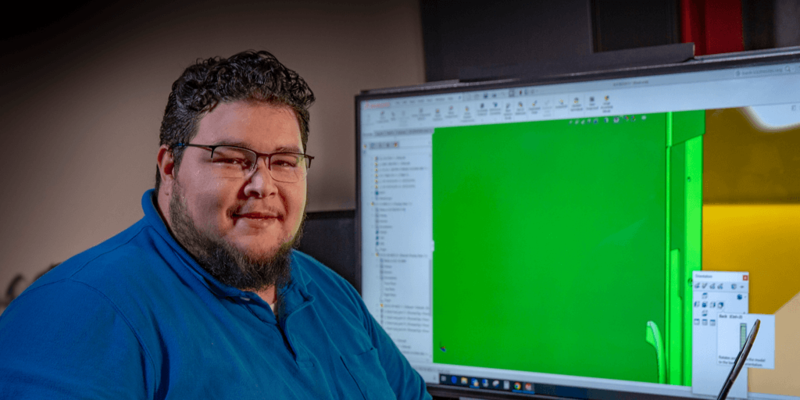 Profiles in Ingenuity: Meet Efrain Rodriguez III, VP, Product Development. Efrain leads the introduction of our next generation series of product solutions and ensures we are continuously optimized for ever-increasing productivity. He’s a living example of American Ingenuity. Our waterpark lockers work great for all our guests including our guests with special needs. Our new lockers are really are a top-notch product. Definitely recommended. Now the electronics are up and running, this is one of the easiest parts of my business. DO YOU HAVE ORDER FORMS THAT CAN BE DOWNLOADED FROM THIS WEBSITE? WHERE SHOULD I SEND MY EXCHANGE CYLINDERS? WHAT IS THE LEAD TIME FOR LOCKERS? Our standard lead time can be anywhere from 4-8 weeks depending on the product line and the project. WHERE CAN I FIND THE CONTROL CODE FOR MY LOCKERS? The control code can be located in two places. You can locate the control code (A####) on the control cylinder of your lock (top cylinder on coin locks; third door down on left-hand column of Mini-Check Lockers) or you can locate it on your black-capped control keys. WHERE CAN I FIND THE CASH CODE FOR MY LOCKERS? The cash code can be located in two places. You can locate the control code (B####) on the cash cylinder of your cash door (where the coins or tokens are collected) or you can locate it on your white-capped control keys. DO YOU HAVE LOCKERS AVAILABLE TO RENT FOR LARGE EVENTS? At this time our lockers are manufactured for sale, therefore we do not have lockers available to rent. DO YOU BUY BACK OLD LOCKERS? At this time we manufacture new lockers for sale and do not sell used lockers. WHERE CAN I SEND DRAWINGS AND SPECS TO GET A LOCKER QUOTE? American Locker is based in the United States, however we are pleased to offer our lockers globally. HOW CAN I PLACE AN ORDER FOR REPLACEMENT PARTS WITH AMERICAN LOCKER? You may order online at www.americanlocker.com, you may complete our order form and email it to us at info@americanlocker.com or you may fax it to us at 817-481-3993, or you may call our toll-free line at 800-828-9118 and we will process your order over the phone. DO YOU OFFER FREE SHIPPING FOR ALL ORDERS OVER $200? No. We only offer free shipping to customers who place online orders for over $200 that ship within the continental United States. IS THERE A $100 MINIMUM ORDER IF I CALL, EMAIL OR FAX MY ORDER IN INSTEAD OF ORDERING ONLINE? We have a $100 minimum for all orders. DO YOU HAVE INSTRUCTIONS TO REPLACE THE PATRON CYLINDERS? Our locker manual has instructions for replacing the cylinders. Please contact us at info@americanlocker.com or call us at 800-828-9118 and we will be happy to email the manual to you. I HAVE COIN-OPERATED LOCKS, BUT NO LONGER WANT TO CHARGE FOR USE. DO I HAVE TO ORDER NEW LOCKS FOR THEM TO BE FREE-OF-CHARGE? Your coin locks can be converted to free use with the instructions in our locker manual. Please contact us at info@americanlocker.com or call us at 800-828-9118 and we will be happy to email the manual to you. HOW LONG DOES IT TAKE TO RECEIVE MY QUOTE ONCE I'VE REQUESTED IT FROM AMERICAN LOCKER? While we strive to get quotes to our clients the same day they are requested, please allow 24 hours to receive the quote from our sales team. DO YOU REPAIR EXISTING LOCKS? Yes. We charge a flat rate of $50.00 USD for lock repairs. You may download our order form and complete section 4 and include that in the box of locks and send them to us at: American Locker, 700 Freeport Parkway, Suite 300, Coppell, TX 75019. CAN I ORDER NEW KEYS TO REPLACE THE ONES THAT HAVE BEEN LOST? We are unable to cut duplicate once the locks have left our facility. It will be necessary to replace the keyless cylinder with a new cylinder and key. CAN I HAVE YOU STAMP NUMBERS ON MY NEW KEYS? We can stamp the numbers on your keys for $1.00 USD per key, or you may order a key numbering set to stamp the keys on site (Part #AL-9480-900). WHAT ITEMS DO I NEED TO ATTACH WRISTBANDS OR SAFETY PINS TO MY EXISTING KEYS? DO YOU HAVE INSTRUCTIONS FOR ATTACHING WRISTBANDS OR SAFTEY PINS TO KEYS? Our locker manual has instructions for adding attachments to keys. Please contact us at info@americanlocker.com or call us at 800-828-9118 and we will be happy to email the manual to you. WHAT ARE THE VARIOUS LOCKER CONFIGURATIONS? You will be able to find various sizes in our Standard, Premium, and Advanced locker lines. If we don’t have the size you are looking for in those categories, then you can visit our Custom Line and we can design a locker system to best serve your needs. DO YOU HAVE LOCKERS THAT ARE APPROPRIATE TO USE IN A LOCKER ROOM FOR A POOL AREA? We suggest one of our Stainless Steel or Aluminum locker solutions. DO YOU HAVE LOCKERS FOR LUGGAGE STORAGE? Yes, our lockers are available in a variety sizes to meet your application. CAN I ADJUST A LOCKER TO ACCEPT 4 QUARTERS? Yes, some of our locks can be adjusted. Please contact us to determine if this option is available for your lock.